I adore the pairing of Suqqu's EX-26 Yuuaoi Blend Color Eyeshadow, 12 Benihachimitsu Creamy Glow Lipstick Moist, and Ex-01 Mizudaidai Gradation Cheeks (released in Fall 2012. 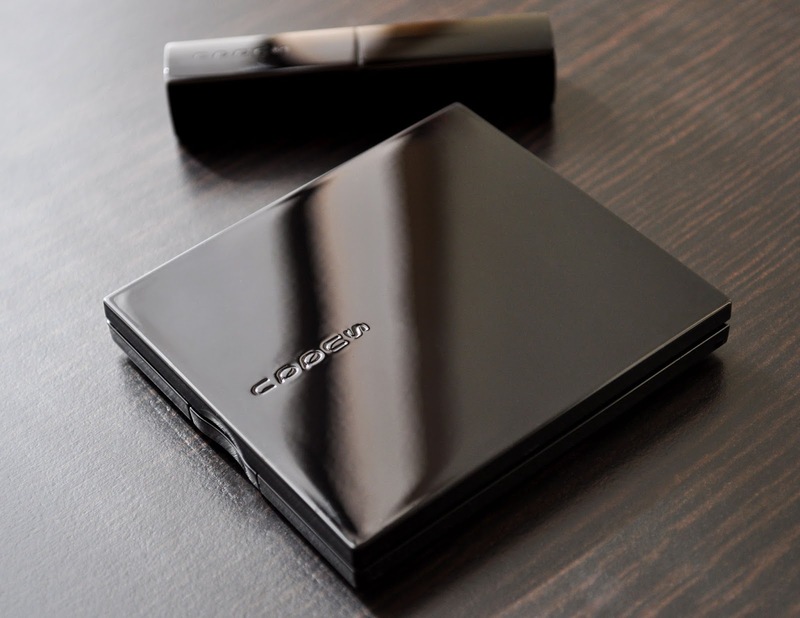 Kicking myself for not buying a backup). Every single shadow of EX26 Yuuaoi is a dream. At first, I had reservations about the cream shadow, but after applying it on my lids, I was soon eating my hat. The cream base looks stunning on its own, under or over eye shadows, and even as a highlight; absolutely gorgeous, folks. A soft, warm, peachy-pink with a shimmery, pearl finish. A mid-toned, warm, bronzed-copper-rose with a shimmery, pearl finish. A mid-toned navy blue, with multi-colored micro-shimmer and a semi-matte-satin finish. A soft, pink-undertoned, ivory cream shadow with a gold sheen. 12 Benihachimitsu Creamy Glow Lipstick Moist: a muted, coral-peach with brown undertones. Suqqu Gradation Cheeks in Ex-01 Mizudaidai (the deeper shade on the cheeks, and the lighter shade used to highlight and under the eyes). The ivory cream shadow (used as a base). 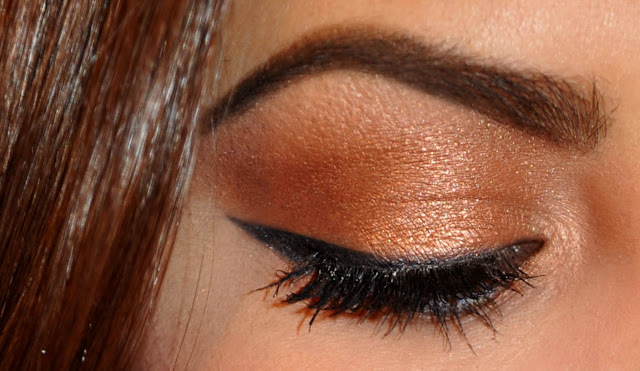 The bronzed-copper-rose shadow (applied on the lid, blended into the crease and along the lower lashline). 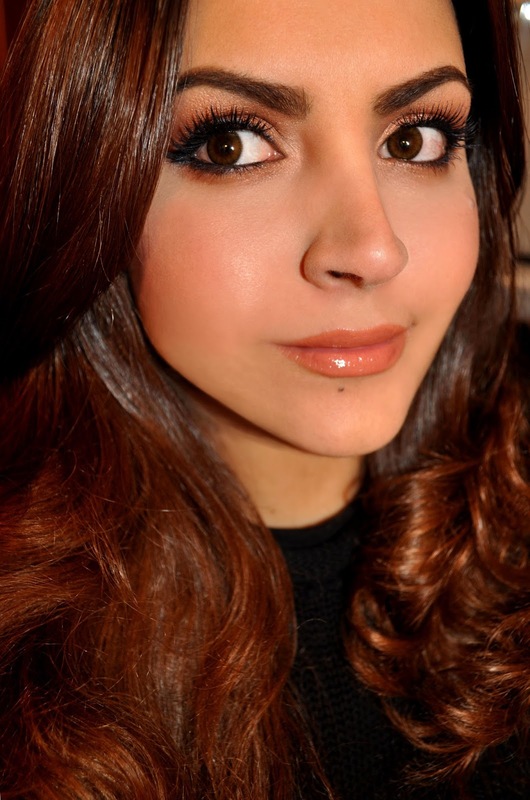 The peachy-pink shadow (used to blend out the crease, up to the brow bone and the inner corner). 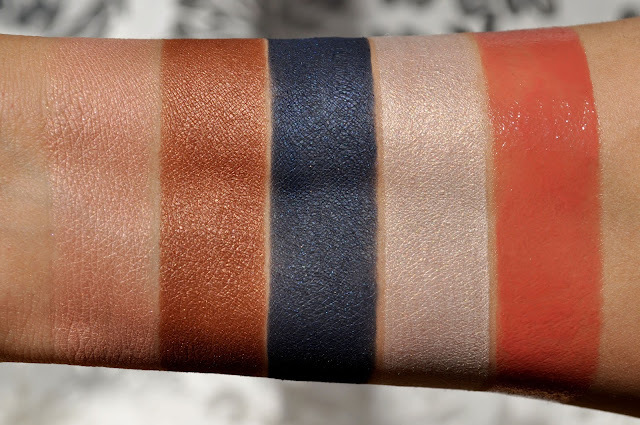 The navy blue shadow (blended on top of EX-02 Navy on the upper and lower lashline). 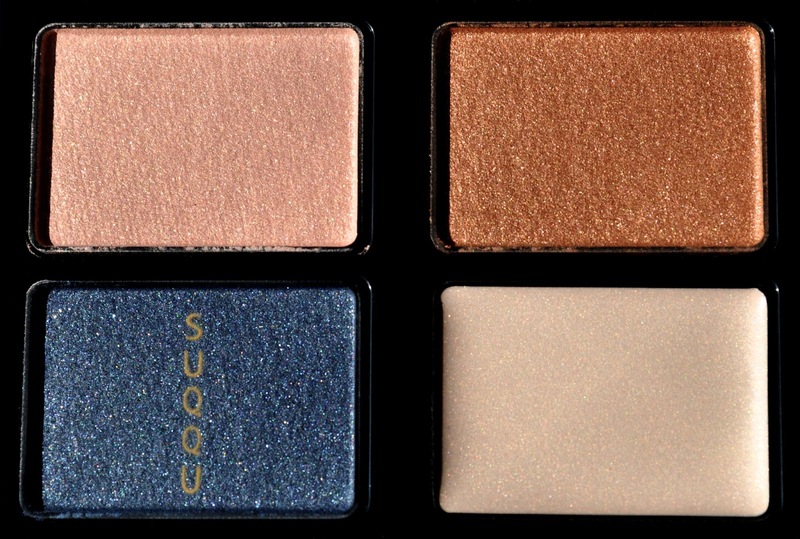 Suqqu Eyeliner Creamy in EX-02 Navy (along the upper and lower lashline and used on the lower waterline). Suqqu Creamy Glow Lipstick Moist in 12 Benihachimitsu. You're the best Amalia <3 I'm so glad I didn't pass on this palette. I love it to pieces.